Fans of the duo's EP Horse Power may be disappointed to know that the duo has recycled "Nothing But Our Love," "Vocal Chords," and the "Simple Girl" from the EP. The songs themselves remain as excellent, "Simple Girl" and its delicate acoustic sound being one of my favorites, but for those hoping for an entirely new package may frown at the inclusion of old material. The cheery psychedelics and ambiance sprinkled throughout the album mixes well enough with the compositions that embrace a dancier aesthetic, though the transition of different tempos can be disorienting. The slow crawl of "When I Open My Eyes" feels a little odd coming from the robotic hand claps of the track before it, "An Ugly Person On A Movie Screen," but the slew of different directions of pop ensures the album's catchier qualities are always on display. 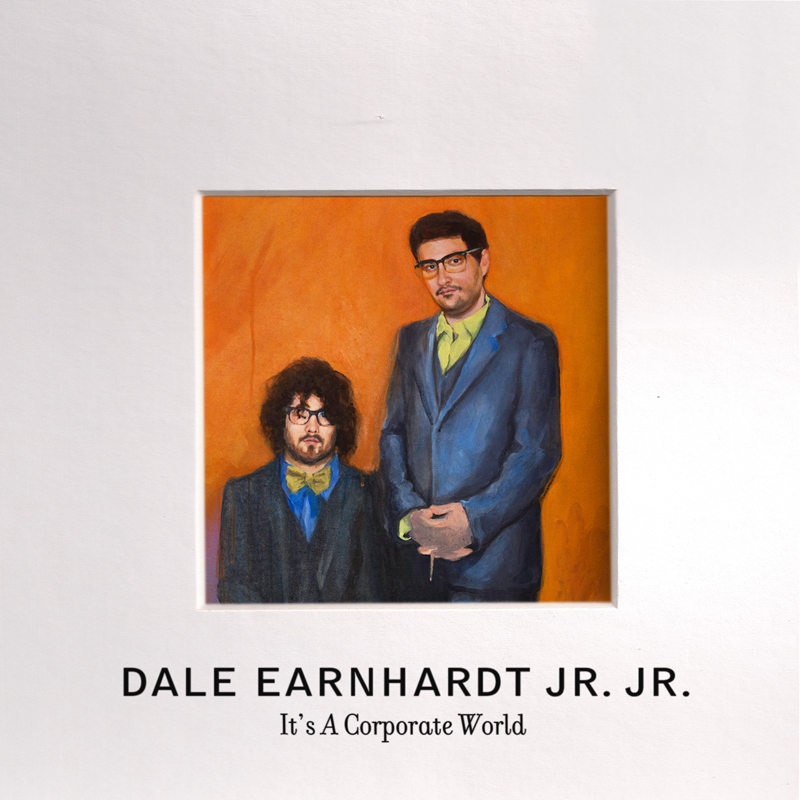 I'll probably be alone in wishing for Dale Earnhardt Jr. Jr.'s future work to be governed less by dance beats and more earthy pieces like "Simple Girl," but It's A Corporate World will provide listeners with the proper smorgasbord of indie-pop varieties and electronic beats to keep the album spinning into the summer months. 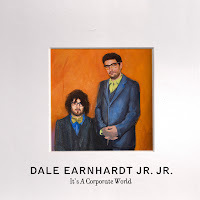 It's A Corporate World releases on June 7th, through Quite Scientific Records. The album can be pre-ordered here, and the single "Morning Thought" can be downloaded for free here.